The activation of the "Live Composer Woocommerce Integration" extension will add 5 sections to the Live Composer editor bar. By default, the Live Composer bar will use the option "Show all". 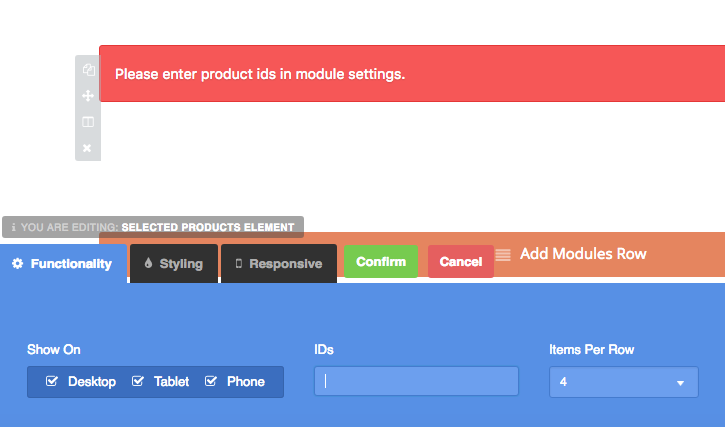 When you are using more many premium extensions, it can be difficult to find the right modules. In order to make the navigation easier through modules, the "Live Composer Woocommerce Integration" extension is organized in sections. This element can be dropped just on the "Shop" page. 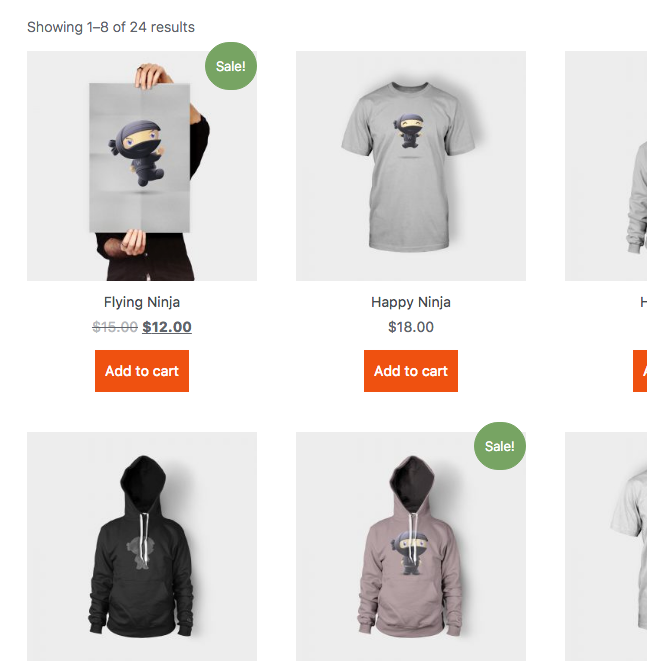 Display the most recent products from your shop. 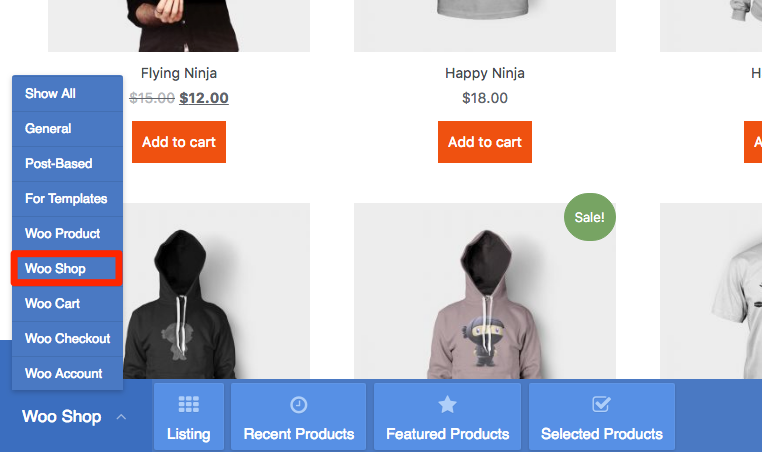 Use this element to display the featured products from your shop.